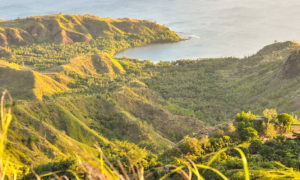 Hiking in a small tropical island definitely has its benefits, especially when many destinations are not that far off or treacherously dangerous. There are always risks to this activity, but what proves beneficial is preparing well for it, mentally, physically and materially. Through over twenty years of hiking experience, bringing small and large groups and taking them on easy to difficult hikes, I can safely say I’ve seen many things happen. I have tended to injuries, thankfully minor, like a scraped knee against jagged limestone, pushed forward crying kids — some adults — who feared never seeing civilization again, took a shortcut that took longer than the regular route, watched a drowning victim get airlifted (he swam at a section of the beach where currents were strong, while we were snorkeling at a nearby lagoon), had a glow-in-the-dark critter crawl up my leg at Pagat caves, slipped and slid, and even watched a friend flatten tall grass by laying his back on it. The wilderness (boonies) can be unforgiving, and that is why it is important to review detailed information about what to expect and what to take, going as far as making a “pre-hike” and “post-hike” checklist. 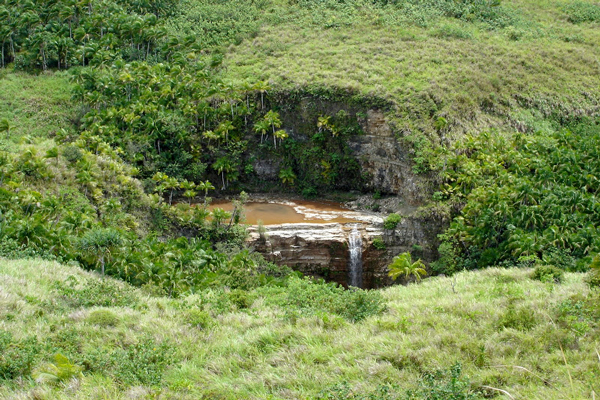 Below, are some general information that may be beneficial for Guam hikers to consider. 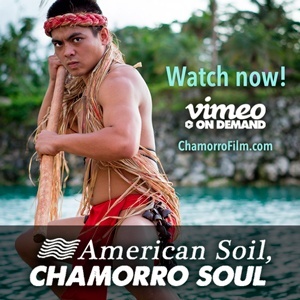 Outer clothing layer: When hiking through the jungle (boonies) of Guam, or grassy trails, always wear outer garments that have long-sleeves, and wear full-length pants to protect skin from the sakati (sword grass). Any skin on a forearm or leg exposed will not leave the jungle unscathed where sakati is found. The grass seems harmless but the leaves can inflict undetectable scratches until you feel the stinging when your skin makes contact with water. The scratches become apparent the next day and may leave scars if not treated with a topical antibiotic ointment. Although the scratches are small enough to be nothing more than a boo boo, you will be sporting unsightly scrapes for a week or so. By wearing light outer layers (top and bottom) you can regulate your body temperature, protect your skin from grass and sun exposure. Inner clothing layer: Swimming clothes, tank top, or quick-dries (shirts & shorts). By wearing inner clothing, you now have the option of removing the long sleeve garment when you feel the temperature increasing — yours or the environment — to prevent overheating. Many people wear what they will be swimming in and make the hike back out in their wet outer layer clothing. Not only will that increase the chances of catching a cough and cold the next day, it just makes the trek back a muggy and sloshy experience. 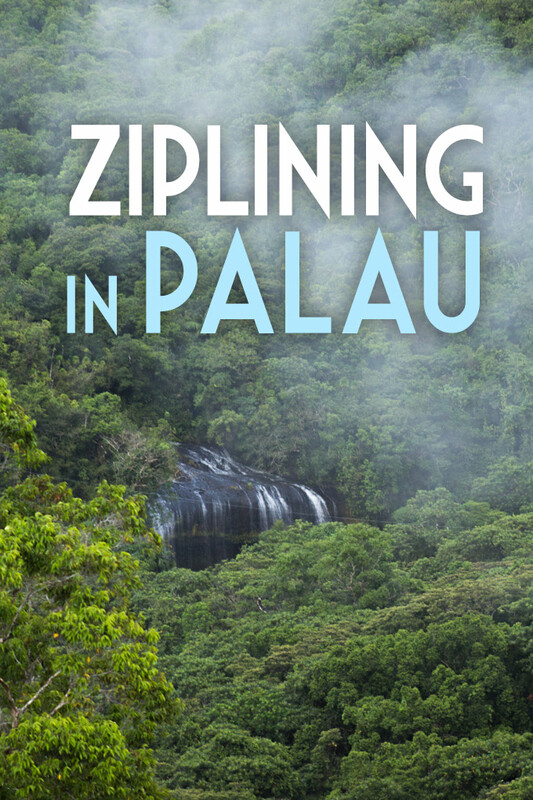 You will find that after a swim, having inner and dry outer clothing layers provides a brief refreshing feel that’ll help you bare the hot, steep and long trek back out of the jungle. Headcover: Use a baseball cap, or a hat with a brim that can fasten under your chin. 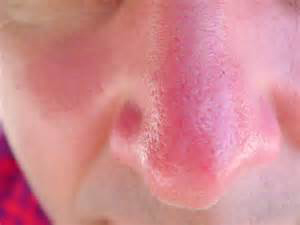 When your head gets hot, you feel hotter, and sunscreen can only do so much to protect your nose and neck. For girls with long hair, wearing a hat can keep it from obstructing your view as you tread on windy and uneven terrain. Eyewear: Wearing sunglasses can help you to enjoy the scenery without squinting the whole day. More importantly, it serves as protection from dust or loose dirt that tends to drift into the air if there are hikers walking before you or if a sudden draft should come upon the land. Shoes: Wear shoes with rubber soles that have good traction like running shoes. Wear dry socks and tighten shoe laces to prevent blisters from forming. 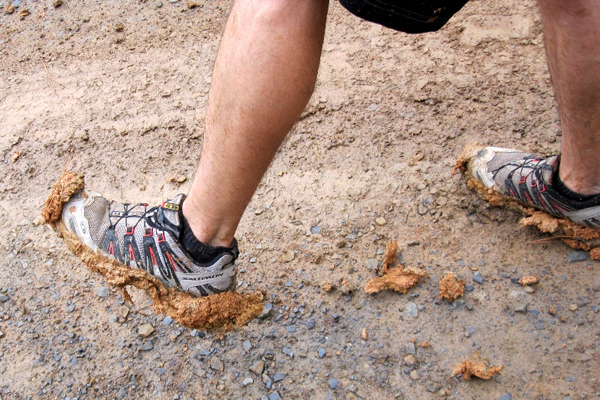 If you find yourself on a muddy trail make sure you make frequent effort to rub or stomp the mud off the soles of your shoes against a rock or by using a stick. If not, the mud will pack on more weight, and cover the traction you need to keep from slipping. For beach hikes, use tabbies. 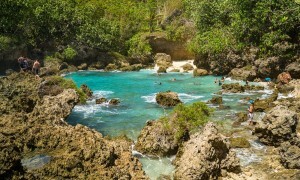 There are jagged rocks, and loose coral that make it difficult to tread in the waters with bare feet. And tabbies are versatile in the water and on land. What to Pack: Packing a sandwich or two usually suffices as a meal that can hold you off for a few hours. Make effort to bring natural foods such as fruits and pre-cut vegetables. Apples, oranges, or carrot sticks. Healthy snacks like trail mixes have high fiber content which helps the body feel satisfied longer than junk food. Put all food in a re-sealable bag or container, and when you’re done, place any left-overs and trash back in the re-sealable bag or a plastic bag and tie it tightly. Bring water! How much depends on the duration of the hike. 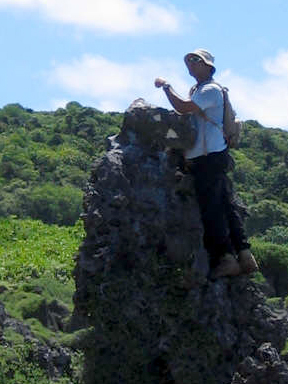 For hikes on Guam, 4 liters or 4 quartz is the usual recommendation. Do not drink in big gulps while walking as you may get stomach cramps, or finish your supply before you get to the destination. Drink enough to wet the insides of your mouth and throat. The beautiful scenery can distract a person from drinking and there have been times when hikers become light-headed as a result. So have stops to remind the group to drink. Waiting in your car, after the hike, should be a small cooler with extra water, fruits and other healthy packaged snacks. What NOT to Pack: Make sure not to pack too much food, and if you are with a group, evenly distribute the food you plan to bring by packing it in separate backpacks. Onions absorb bacteria at a fast rate, so try to avoid foods that contain ingredients that are known to spoil easily like an egg salad or tuna sandwich. 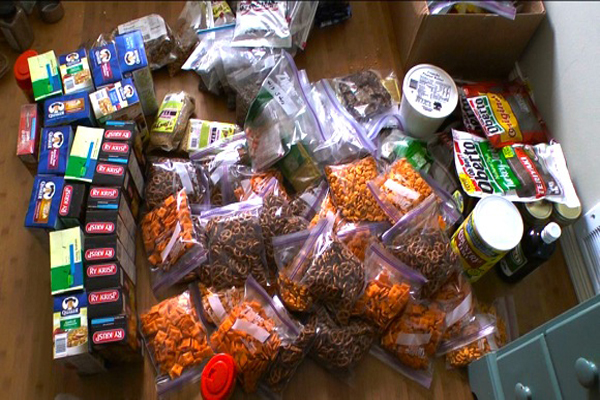 Avoid foods that will look unappetizing, get all smashed up, and crumby as it shifts in the backpack during the hike. Super salty and sweet snacks will make you thirstier than necessary. Do not eat while walking the trail. You may attract unwanted guests on your hike from ants, flies, bees to wild pigs. The pigs usually hunt at night, but they have been seen every once in a while. I am not aware of any reported confrontations. Have a designated eating spot with the group. Do not drink the water directly from the rivers and streams. Harmful microbes may be present in untreated water and may cause serious illness. Sunblock Lotion: Apply sunscreen as early on as possible. The longer the sunscreen has been on the skin, the more it is absorbed and the more effective it becomes. 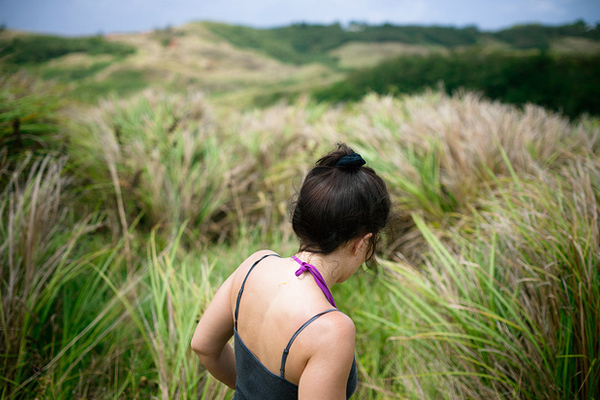 Before getting dressed for the hike, apply sunscreen on skin areas you know will be exposed to the sun. Reapply sunscreen as needed, if you are sweating profusely on the hike, and if you have spent more than 30 minutes in the water. Don’t let an overcast sky fool you. The UV rays are still just as strong, and 15 minutes out on a clear sunny day can easily bring on a sunburn. First Aid Kit, Travel-size Antibacterial Gel, Baby Wipes & Insect Repellent: Small first aid kits will come in handy for small nicks and scratches along the way. Before eating, use an antibacterial gel or baby wipes to remove grime from your hands. Bring insect repellent if you’re susceptible to getting bitten by mosquitoes. Consider bringing allergy medication just in case an attack may arise from bee stings or other factors common in the outdoors. 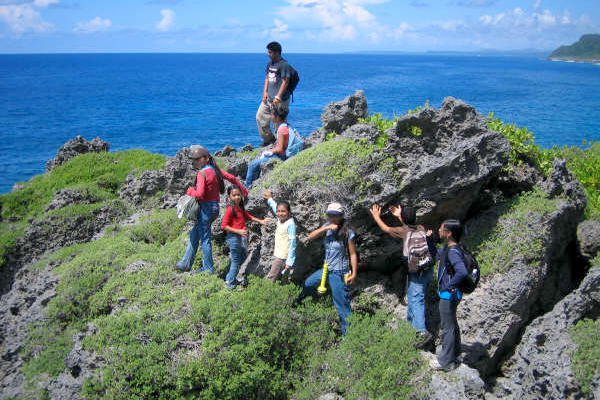 Communicate your Plan: Hikes on Guam may be relatively easy, but in case of an emergency where you can’t get reception through the use of a mobile phone, someone else will know when to send for help. 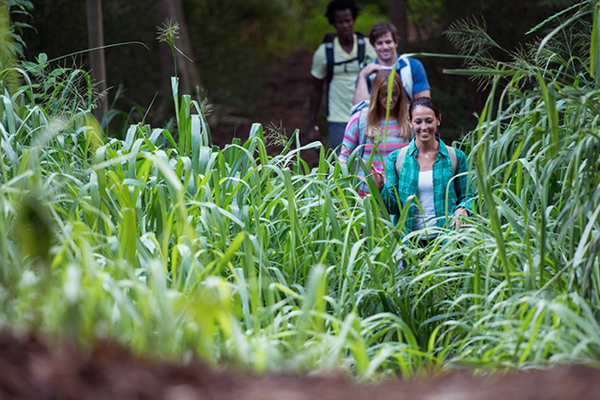 Let a friend or relative know the location and duration of the hike. Check-in with your point-of-contact when you return from the hike. Always leave well before the sun sets. Down the wrong trail: Know the difference between a path from a gully which is a dip or ditch made by run-off water. 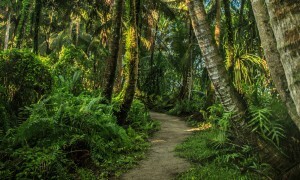 Many hikers have veered off the path by following gullies which seemed to appear as a beaten path at first.But it isn’t wrong to walk over one as gullies are commonly used to tread on since they are conveniently a clear path made by nature. So before following one, scan the landscape frequently to make sure you can see the trail up ahead, and if it’s not clear just make sure you are headed in the right general direction of the destination. Footing, Leaps, and Slips: A sure footing is having a stable secure position for or placement of the feet when standing or walking. 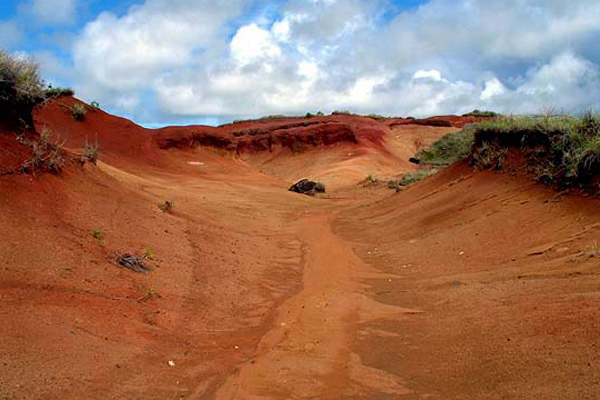 If hiking in the southern side of the island, expect to tread on mounds and gullies of soft or slippery red clay dirt. When approaching a downward slope that has a solid, smooth and moist clay-like appearance, tread carefully as it is extremely slippery, or walk to the side where there may be grass of or a more leveled surface. Sometimes, you may have to make small leaps, side to side on a trail that is also a gully. Keep both hands free — secure your camera or water bottle in your pockets or backpack — so that you can maintain good balance, and can hold on to other things like branches to keep you from slipping. On the central and northern hiking spots, you will encounter jagged limestone rocks along the trail. Underneath the shady jungle canopy, covering these rocks are green moss, which is also extremely slippery. You can always find rocks and tree branches to grasp to keep your footing. Resist the urge to take leaps to get from one jagged rock to another around rocky shore areas, as the limestone rock’s uneven jagged features can easily cause serious abrasions. Let the Guide lead the way: If you have a guide taking a group to a destination, stay as close to this person at all times. If in a big group, make sure to stay close behind, not in front of the guide. Little details that the guide is familiar with may give hikers advance notice to avoid things or to pay closer attention to things that may make the hike an interesting and educational experience. Do not allow young children to run too far ahead. True story: On one afternoon hike, the children so excited and energized ran ahead of the group. The guide and the rest of the group went after them, as they were clearly running down the wrong trail. It took more time to find and return back to the right trail. Needless to say, the day was quickly losing light and the guide decided that there wouldn’t be enough time to get to the spot, and return before nightfall. They returned some months later, having learned from that lesson, and found the spot. Signs on the trail: There are a few trails on Guam that are well marked, but hikers before you have left some interesting markings behind. What’s commonly used as signs, telling you you’re on the right trail, are the fluorescent construction ribbon tied to branches. Don’t mistaken paintball markings for signs if you happen to come by one. They simply indicate that someone has used the jungle as their combat zone. Finding the rock mass that is the entrance to Pagat caves is marked by a black spray-painted arrow pointing down (which brings me to the next topic). Respect the Environment: The thrill of hiking is found in being so close to pristine conditions of an untouched world, where nature is not bothered or manufactured by human development. Most of all, the beauty you come in contact with is free and soothing for the soul. When we pay a visit to these places we must try not to leave our human footprint behind so that others, in years to come, can also enjoy the same paradise we were able to capture. Take your trash with you, and pick up what you can of what other’s left behind. Do not move rocks, uproot plants, or break branches, unnecessarily. (This may have a negative effect on run-off water heading into nearby streams or rivers. Do not bother the animals such as fish, shrimp, coconut crabs, iguanas or monitor lizards, and they won’t bother you. By taking these safety tips into consideration, your hiking experience will undoubtedly be a safe and an enjoyable one.